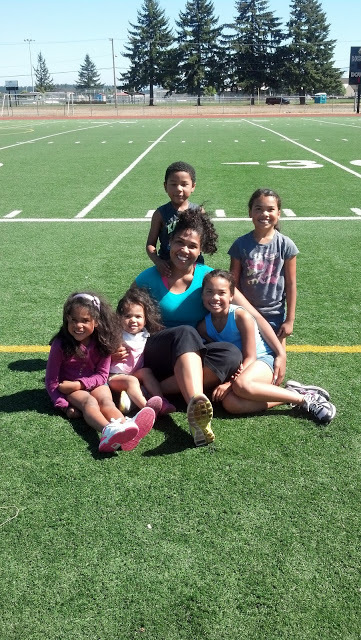 Fabulously Fit: Mother of Five Inspires! A few years back, when Obama was running for his first term, I reconnected with a high school friend, Natalie, through some really great Facebook discussions about the president-to-be. Through several more Facebook messages and posts, we discovered we were both moms and somehow had a lot more in common than not! Through the last few years, this mother of five, who, like me, had a skinnier twin---although her twin is identical, inspired me with her weight loss and fitness journey. I tell people about her all the time. She inspires me that much. Natalie is an Army wife who's husband is often out on deployment. She's a twin herself, and a mother of not one, but two sets of twins and a singleton. Despite all this, she makes fitness a priority. I had the privilege of asking Natalie a few questions about her fitness journey. Read on and be inspired! How did you come to realize you wanted to change your lifestyle? 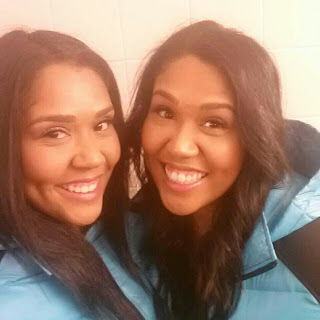 I'm a twin and my twin sister doesn't have any children. I used to look at her unchanged body and have "weight loss wishes". I yo-yoed for years because while I loved the feeling of working out, I didn't care for the discipline of fueling my body right. 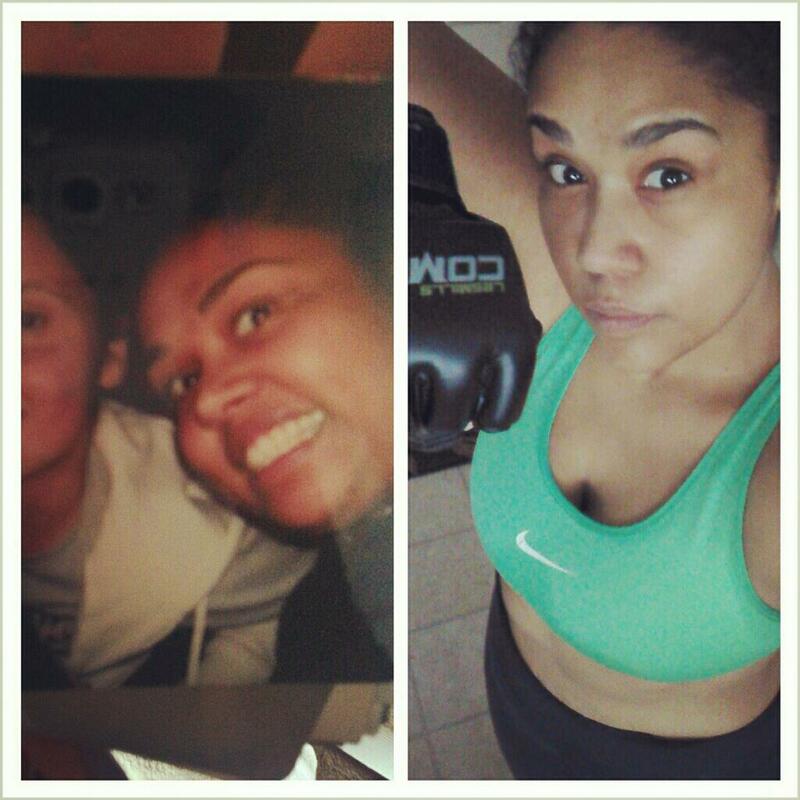 I ran marathons, attended workout classes and even became a group fitness instructor. My friend Ryndee led a Turbokick class that I loved and she and another instructor friend, Alex, would put me on the mic to lead sections of the workout. I loved it! 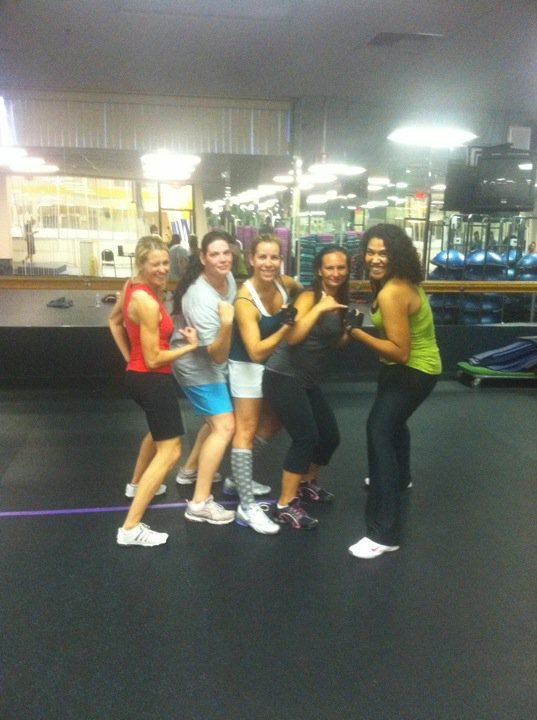 I loved to motivate and as an instructor you want to go all out and encourage the class to do the same. I still wasn't my sisters size but I was content until after a class one day. A woman that, at the time, I thought was much larger than me, thanked me. She thanked me for my excitement and for "representing for the BIG girls." I was floored. I was thankful that she appreciated me but I didn't realize that she identified with me for my size. I was large. It happened slowly over time so I didn't notice. That was my "Aha!" moment of "something's got to give!" How do I live and breathe the gym and still not have results that reflect the scale or my pant size? Am I working out just to eat poorly? I needed a change and like the wait gain, I created that change slowly over time. No more cropped head shots! My motivation came from every picture I untagged online and from my friends cropping photos automatically because they knew I was unhappy with my size. They were sweet and loved me enough to take the same shot from different angles a number of times. From having to sit out in the hot sun because I wasn't going to dare get into a bathing suit during the summer. I saw how much my kids loved working out because I loved working out and wanted them to love eating clean because I love eating clean and now they do. I'm their parent, their first teacher and still had a lot to learn. I am strong in my faith and realized that that this wasn't entirely a vanity concern, or a health concern. Spiritually, I was not honoring God with my body. How was I going to motivate more than just one person in a class if I wasn't giving my all to acquire results that inspire? All of these things continue to motivate me to keep going. 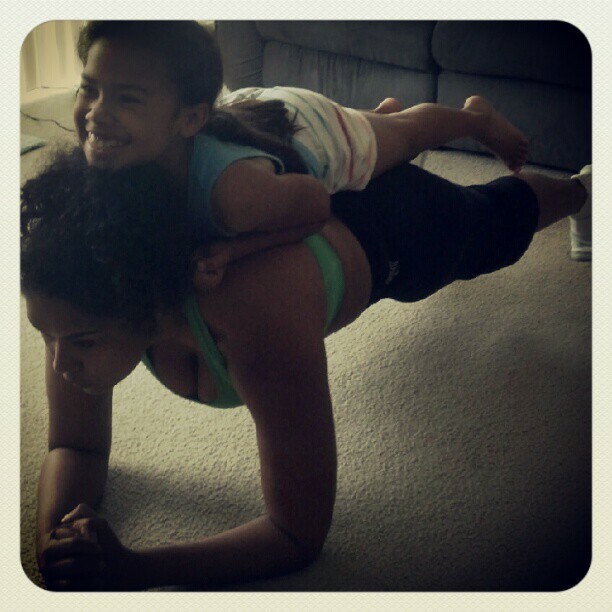 How do you include your kids in your fitness journey? I workout from home for the most part. 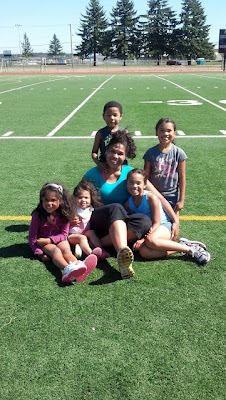 My kids workout with me. I use them for added weight when I plank and encourage them to keep up with me as I punch, kick, jump and did drills in the living room. Sometimes I wait until they are occupied to workout. If they don't see me exercise, they ask if I did. Talk about accountability! I turn on the music and dance with them to keep them active on rainy days (it also tires them out for a nap). When weather allows, we head to the local track or hiking trail. My kids are totally awesome. I see a lot of my workout moves become their dance moves. They don't know the difference because all they know is that working out and dancing are both fun. What are you three all time favorite exercise moves? Natalie (at right) in her element. I'm heavy bottomed so I enjoy the rewards of mixed martial arts. Plus, it makes me feel like a really cool ninja. Round house kicks really define the and trim down the legs and back kicks lift the bottom. I absolutely love lunges too! I'm a sick person---any kind of lunge is welcome. I have powerful legs and love to push them. When weight training, I really enjoy the clean and press. I see the results quickly and every time I press and I smile. I feel empowered doing that move. Have you gained a sense of identity through your fitness journey, apart from being a mom of five? I have gained my own sense of identity in every way possible. I'm not the "heavy twin," the "twin with twins," the "one with the kids," or the mom that puts all of her efforts into the health and appearance of her children while neglecting herself. I used to do that---have my kids looking great while I was in oversized clothes trying not to be noticed. Now my kids' kids' will look at photos and see that I was a tall and hippy woman that wore her frame with pride. I won't be a floating cropped head in photos anymore. I now have a successful business from home doing what I love, inspiring and motivating others. Keeping others accountable is what keeps me accountable. I have the pleasure of witnessing their fitness. I have made so many sweet friends while on this fitness journey. My heart is full. My children now have a healthy mom that is home when they are and still manages to add to the family's income. I strive to remain to be that woman people want to identify with. The one that took back her life and started living for the glory of the Lord. If you are interested in seeing Natalie in action as a fitness coach, please visit http://www.facebook.com/LikeMyCoachNatalie. How to Lose Weight: Eat Your Veggies! I know, I know. That probably isn't what you want to hear. I probably sound like the mother of a five-year-old. I am. Never-the-less, my kids eat their veggies, and we all want our kids to eat their veggies, so why not eat them ourselves? 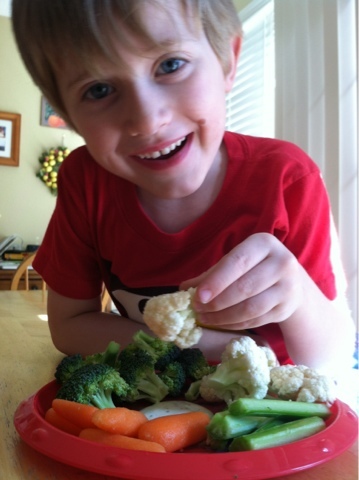 My son's favorite snack is veggies! They cab be a tasty treat anytime of the day! Do you find at times that you feed your kids better than you feed yourself? Kids really do follow by example, and if they see you eating that nice plate of raw, fresh broccoli, carrots, and snap peas (a favorite combo in our household), they may just want to taste of that goodness. Learn from the bunnies! 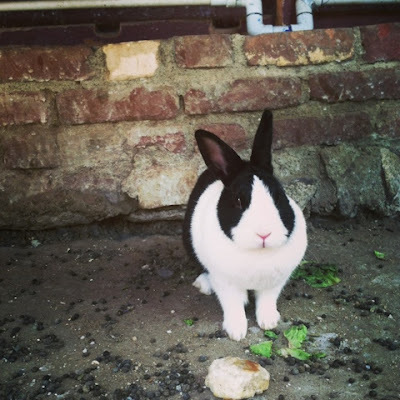 I recently visited a bunch of bunnies who preferred veggies over biscuits! True story. Someone had tossed a bunch of biscuits in their cage and they were untouched. However, there were scraps of eaten vegetables everywhere. This bunny was munching on some sweet romaine! "But what if I don't like vegetables?" you may ask. Start to. Some vegetables may be an acquired taste, but I encourage you to try to eat your veggies, and even raw if possible. Buy your veggies from local growers, which are more likely to be pesticide-free. 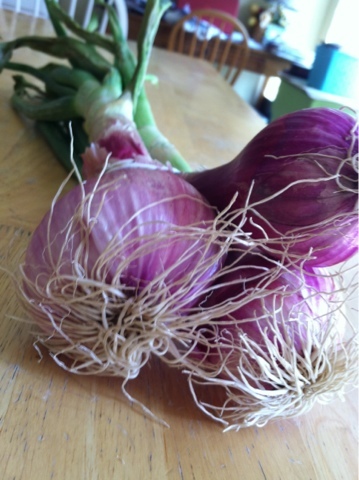 Our local grower even showed us how he keeps those pesky bugs away without pesticide when we inquired about it. He showed us rows of onions surrounding each row of produce growing. Soap-water works great too. Either way, its a win-win. You support local growers, and you get pesticide-free produce for cheap. When you purchase that broccoli that was just picked that morning, bring it home, cut it up, and eat it, you may be surprised to find how sweet it is! 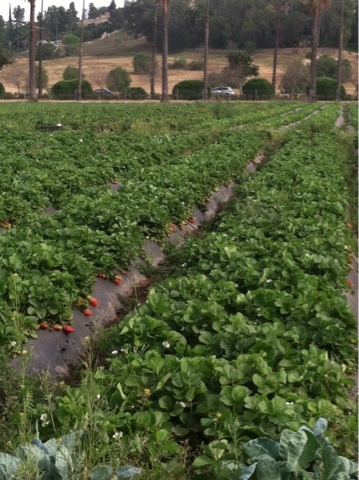 Fresh picked produce is leagues above the early-picked grocery store produce any day! to ward off insects naturally. Find ways to include more vegetables in your diet, even if that means cooking them. Include vegetables in stir-fry, make your own lettuce wraps (recipe here), or stuffed bell-peppers (recipe here). Use a nice big romaine leaf to wrap your burger instead of a bun. Add spinach, onions, and bell peppers to your eggs. There are plenty of ways to include veggies in every meal! Experience salads again. I'm not talking about the iceberg lettuce sprinkled with red cabbage and shredded carrots kind of salad. 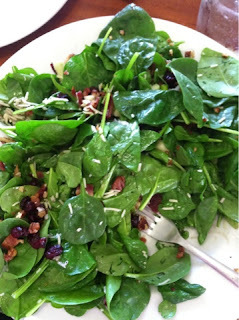 I'm talking about making salads into masterpieces that you eat. If you like fruit, add a few berries to your salad. Berries go really well with spinach, broccoli, walnuts, and feta. Of course, when adding ingredients to your "masterpiece," please do measure! And do not use salad dressings with preservatives, high-fructose corn syrup, or a lot of fat and calories. Look in the refrigerated produce section in your grocery store for salad dressing. You can find the healthy, tasty stuff there! So, what do you do if you try that freshly-picked pesticide free broccoli yumminess and you still don't like it? You can drink your veggies. I recommend doing this via a smoothie because, unlike most juicing, you get all the fiber. I have a few good recipes for smoothies on my blog. You can find them HERE. They all include a serving of vegetables and taste delicious! 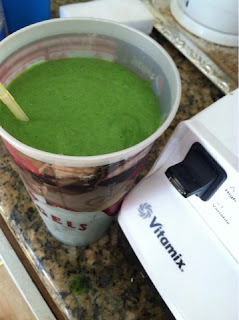 My husband and I and two of my children drink a veggie-fruit smoothie every morning. My son who doesn't care for the smoothies (because he has refused to try them) eats vegetables ALL THE TIME, so I'm not worried about him. This is the celery-pineapple-spinach smoothie I made this morning. YUM! Recipe to come! Why does eating your vegetables help you loose weight? Last year, my oldest son kept asking for his Easter candy. All day long. I decided it was a good opportunity to give him an example of calorie dense food. 1 cup of broccoli- 25 calories, 3 g fiber, 2 g protein, 60% dv (daily value) of Vitamin C, 10% Vitamin A, 2% iron and 2% calcium. 1 Trader Joe's Easter gummy- 28 calories, 0g fiber, protein, and everything else. Wow! What an amazing difference. Now, which of those 25-ish calories will fill you up more and provide you with more nutrition? The answer is pretty obvious. This is the main reason why vegetables help you loose weight. Also, when you replace unnecessary carbs with veggies, i.e. romaine lettuce leaf instead of a hamburger bun, you save calories. One last thing. When eating a meal, your plate shouldn't be filled mostly with proteins and carbs. The biggest portion on your plate should be vegetables. The diagram above is a great example of how our plates should look. 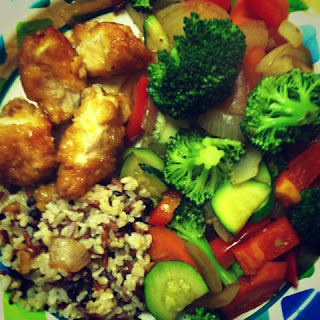 Notice that the biggest portion on the plate is vegetables. This a good picture to remember each time we assemble our plates!